Beans, they're not just a side anymore. As the popularity of vegetarian and vegan diets have grown over the past decade, Southern Foodservice Management corporate dining cafes have incorporated more and more meatless options into their menus. But as every good vegan ― and Southern corporate chef ― can tell you, meatless doesn't have to mean low in protein. So, where do these corporate dining professionals turn to make delicious vegan and vegetarian dishes that are also high in protein? Beans. 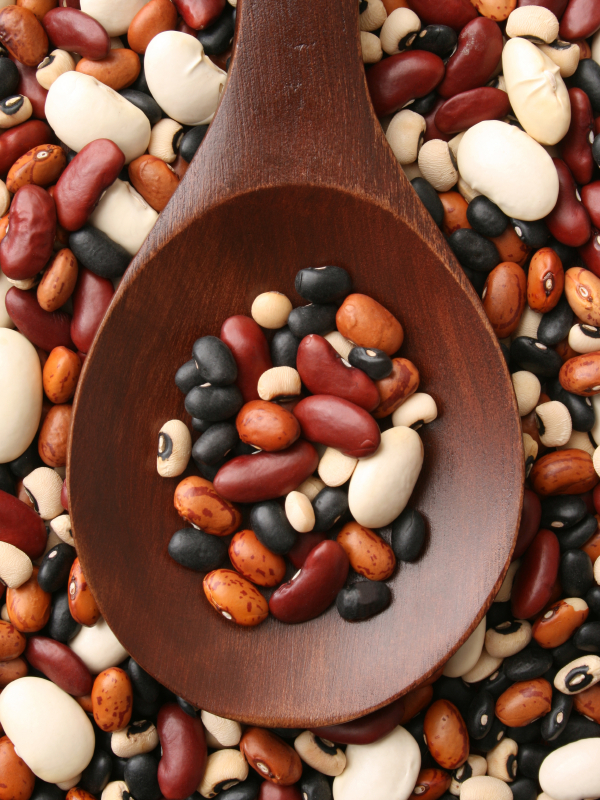 Thought by many experts to be perhaps the single most complete food, beans provide high levels of protein, fiber and complex carbohydrates, as well as certain vitamins and minerals. Their many health benefits include helping control blood glucose, reducing cholesterol and improving cardiovascular health. So, it's no wonder beans have moved from perennial side dish to the main attraction. Iraj Fernando, executive chef at Southern's Bosch LLC unit in Broadview, Ill., uses beans in a variety of ways, including a number of international dishes. “I grew up in Sri Lanka where we eat a lot of beans,” he says, “so I use them a lot.” By adding navy beans, pinto or even small red beans to their line of tabbouleh salads, Iraj's team of corporate dining magicians turn these salads into delicious and healthy entrees. Breakfast often means chiles rellenos with black beans, fried eggs, roasted tomatillo, poblano chilies, roasted corn and enchillada sauce. For a South American flavor, they make paella-like rice and beans with cilantro, red onion, sofrito, fresh garlic, saffron and green pigeon peas, then top it off with a sauce made from pink beans and tomatoes. And for a unique take on an American classic, Iraj makes baked beans with prosciutto, bacon, chopped onion, molasses, orange liqueur and brown sugar. “We put some melted cheese on top of it and serve it like a French onion soup,” he says. More and more these days, exceeding the corporate dining customer's expectations means catering to unique dietary needs and interests. Thanks to the culinary wizards working in Southern corporate cafes all across the country ― and, of course, the wonderfully versatile bean ― providing vegan and vegetarian menu items that are high in both protein and flavor isn't just possible. It's an everyday occurrence and just one more way that Southern is bringing that Something Extra to corporate dining. Of course, not all of the bean dishes Iraj and the team create are vegetarian only, but taking care of our vegetarian and vegan customers is becoming a more common request. And we're delighted to provide those options in corporate and office dining settings.